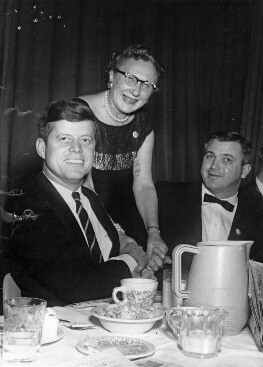 Courtesy John F. Kennedy Presidential Library and Museum, Boston. Jacqueline Kennedy and Pat Nixon both supported their husband’s campaigns to become President of the United States, but they did so in very different ways. In early 1960, Jackie Kennedy discovered that she was pregnant. She had had difficulties in the past and her doctor recommended that she take it easy. Because of this, Jackie did not take to the campaign trail at her husband’s side very often, in fact less so as the year progressed. Kennedy’s sisters accompanied him on the campaign trail in her stead. Although she did not accompany him on campaign stops around the country, Jackie supported her husband’s campaign in other ways. She did cover stories for magazines such as Look or Life in the months leading up to the election, and in October 1960 she sat down for a number of television spots and commercials including an interview with leading pediatrician Dr. Benjamin Spock. 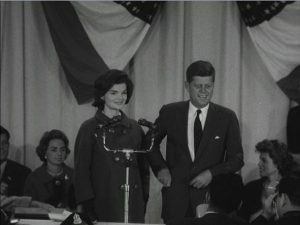 Jackie also recorded the first American presidential campaign commercial in the Spanish language. It’s included in the video that accompanies our exhibit A Time for Greatness. Perhaps Jackie’s greatest contribution and success as a partner to her husband during his presidential campaign was through her syndicated column “Campaign Wife” that ran weekly in newspapers across the country from September 17 to November 1, 1960. Using personal stories and her own perspective on campaign issues, Jackie wrote primarily for the audience of women who were interested in her role as the candidate’s wife. She addressed a wide variety of topics, including writing about her interest in education as a campaign issue, responding to remarks about her appearance, and encouraging voters to “Call for Kennedy” and to arrange debate-watching parties. Pat Nixon was in many ways a younger version of the then-current First Lady, Mamie Eisenhower. She had a great deal of enthusiastic support from many women and girls, as demonstrated by the many versions of the pin to the right that proliferated during the campaign, and the vocal supporters who greeted her during campaign stops. At the Republican National Convention in July, Richard Nixon promised that he would visit all 50 states before Election Day. This was the first federal election in which 50 states would vote – Alaska and Hawaii had both joined the union in 1959 – so this was a big promise for a candidate to make. He did visit all 50 states and Pat accompanied him. In the end, Kennedy very narrowly defeated Nixon, and Jackie Kennedy became First Lady. 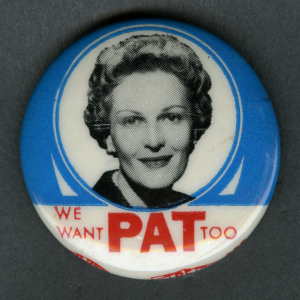 Eventually Pat Nixon also became First Lady and both women influenced public perception of the White House, their husbands’ presidencies, and popular opinions both of themselves and of their husbands. Don’t forget to check out our full 1960 election exhibit, A Time For Greatness, on display until November 13 in our Seventh Floor Gallery. If you’re at the Museum this Friday, stick around for our Gallery Talk on the 1960s Campaign Wives at noon! It’s free with Museum admission or $5 for the talk and exhibit admission. Money in politics can often be a lightning rod issue during a presidential election, casting a reflection of a candidate’s character and influence. Today, we live with unprecedented access and discovery of a candidate’s fundraising operations – large or small contributors, soft money versus hard money– but that was not always the case. While disclosure of campaign finance information was enacted in 1910, it was not enforced until 1967. 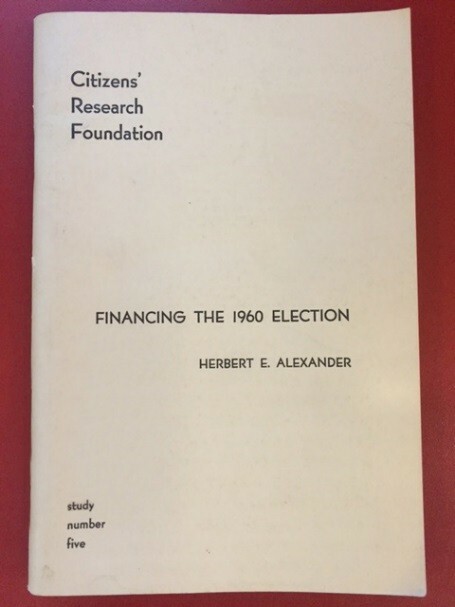 However, in 1958, when little information concerning campaign finance was available, a group called the Citizens’ Research Foundation (CRF), a non-partisan, nonprofit organization, began collecting financial data on national-level politics. The Foundation issued a series of studies on presidential campaign financing, starting with the 1960 presidential election. This original, staple-bound issue of Financing the 1960 Election (which sold for 50 cents at the time) from our collection gives details about the financial operations related to Richard Nixon and John F. Kennedy. In campaigns, no expense is spared when votes are at stake. During the 1960 election, Vice-President Nixon made a $35,000 flight to Alaska and Ohio, the weekend before the election, which paid off for Nixon, when most had predicted both states to go to the Democrats. 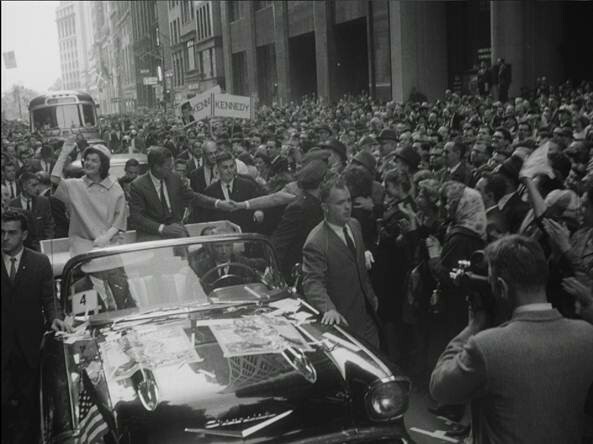 The campaign staff of Senator Kennedy included a speech professor to teach the candidate voice control, a psychologist to evaluate the size, composition and reactions of campaign crowds, and an official photographer (Jacques Lowe). Both candidates hired stenographic teams to catch and transcribe ever word the candidate uttered to make accurate transcripts available to reporters within minutes after a speech. In 1860, Abraham Lincoln’s winning general election campaign reportedly cost about $100,000, and his opponent Stephen Douglas’s campaign about $50,000. One hundred years later, John Kennedy’s campaign spent about $9.7 million to defeat Nixon, whose campaign cost about $10.1 million. In 2012, Barack Obama spent $985 million to defeat Mitt Romney, who himself spent $992 million. Our current election in 2016 is bound to exceed these numbers and in 2017, after the final tally is done, we will pause to consider what the rising cost of presidential campaigns means for the direction of our democracy. 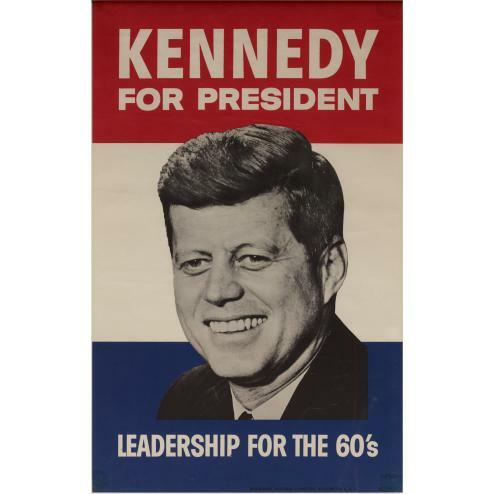 To learn more about the 1960 election, click on JFK.org/ATimeForGreatness or visit the Museum’s Reading Room and its latest exhibit, A Time For Greatness: The 1960 Kennedy Campaign, open through November 13. As the 1960 presidential campaign crept closer, Richard Nixon’s star seemed at last to be on the rise: he had an illustrious political career as a Congressman and Vice President, he was the next-in-line to a popular president, and he had demonstrated that he wasn’t afraid of the Soviets and knew how to take a hard line against communism. But Nixon’s nomination for president was made more difficult by two men: his own party’s sitting president, Dwight Eisenhower, and his political rival, Nelson Rockefeller. Some have said this remark was meant to remind the reporter who asked the question to ask at the next weekly press conference, but many interpreted it as a damning assessment of Nixon. Even when speaking at the Republication National Convention in July 1960, Eisenhower didn’t mention Richard Nixon by name. His support always appeared conspicuously half-hearted. Nelson Rockefeller, elected governor of New York in 1958, was the son of a wealthy American family. ‘Rocky’ as he was known, was an excellent campaigner, with a large, organized staff and lots of money. Rockefeller represented the liberal wing of the Republican Party, pushing state legislation that was pro-labor and pro-civil rights. While this agenda satisfied some of his supporters, it alienated large numbers of other voters, particularly outside of New York. In December 1959, he announced that he would not run for president and that he would not accept a vice-presidential nomination. This would seem to clear the way for Nixon, but Rockefeller wasn’t completely out of the race yet. While he wasn’t going to be on the Republican ticket, Rockefeller still wanted to influence the Republican Party platform. He wanted to push Nixon and fellow Republicans toward more liberal ideals. To that end, he met with Nixon days before the convention to add a more liberal slant to the party platform, particularly on issues of civil rights and national defense. This secret overnight meeting enraged some within the party, although it pleased liberals. The Republican National Convention, which met in Chicago that summer, roiled with disunity in part because of the last-minute changes to the platform. 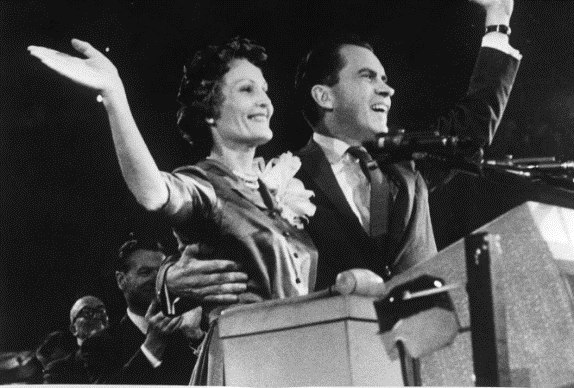 Despite eleventh-hour bids in support of Barry Goldwater and Nelson Rockefeller, however, Richard Nixon was named the Republican nominee for president. 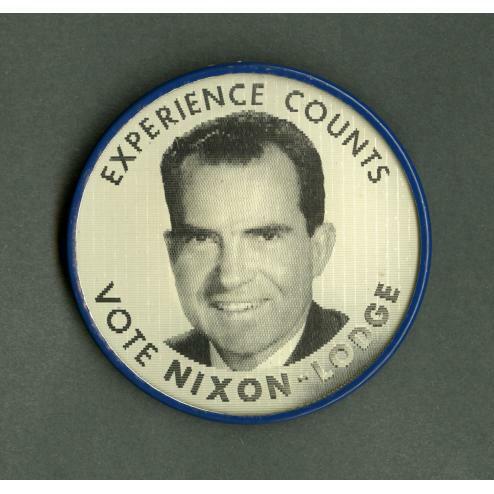 Nixon’s nomination set the stage for his race against Democrat John F. Kennedy in the 1960 presidential election. Both Nixon and Kennedy were nominated over other close rivals and in spite of fractures within their parties. Those intra-party disagreements later manifested nationwide in a historically-close election outcome – the popular vote was decided by less than .1%. 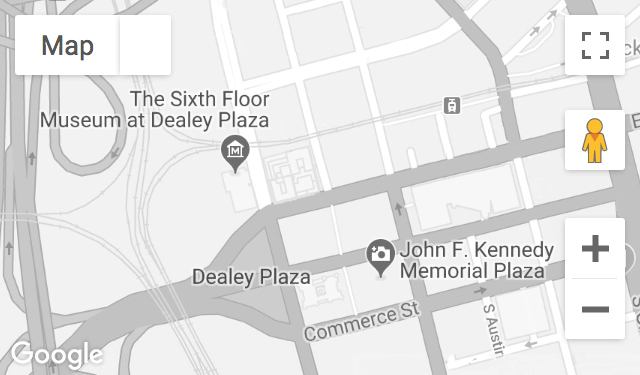 The race went to Kennedy, although many wondered if Nixon had chosen to challenge the results, whether he might have been declared president in 1960.